Amaze is a platform that provides educational video content to help kids learn about sexual education. 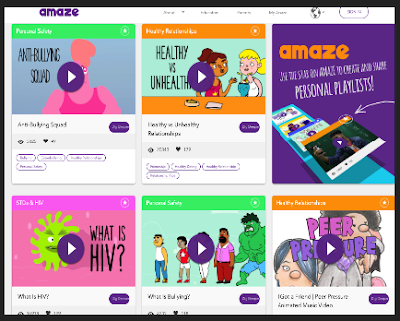 Amaze videos are professionally designed to educate teenagers on sexual topics such as puberty, healthy relationships, reproduction, sexual health, gender roles, consent and many more. This video content is provided for free and is accessible by anyone without the need for registration.